This easy to use bagel slicer from Prepara has a Teflon coated, serrated, stainless steel cutting blade that allows you to quickly and safely cut bagels. 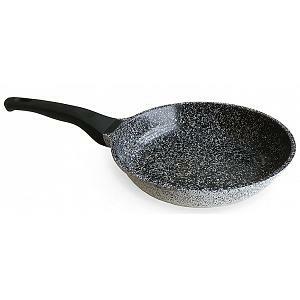 The serrated blade prevents mashing for a quick and clean cut. 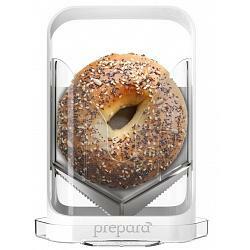 The bagel slicer has clear acrylic guards to protect your fingers at all times.